Likewise, the labor situation in Vietnam’s manufacturing sector is equally problematic. Child labor, gender discrimination, health and safety issues, wage theft, excessive working hours, and more egregious behavior is commonplace in a setting where demand increases pressure to make and ship goods quickly at the lowest prices. Vietnam primarily exports telephone sets, electronic products, footwear, textiles and clothing, coffee, rice, seafood, and furniture to EU members. Customs duties on over 99% of goods will be duty free. The benefits don’t come without conditions that we haven’t seen before and they will add to the work of supply chains. The free trade agreement (FTA) places emphasis on sustainable development, environmental protection, and labor rights, requiring supply chains to establish and expose their practices in each of these areas. 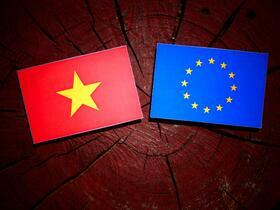 A primary chapter is dedicated to the labor and environmental matters relevant to trade relations between Vietnam and EU countries. It outlines specific provisions aiming to promote “mutual supportiveness between trade and investment, labor, and environmental policies”i, while also dictating that the anticipated boom in trade doesn’t come at the expense of workers and the environment. Specific to climate change and environmental impacts, the FTA includes commitments for each party to implement additional multi-lateral environmental agreements. Companies participating in the EVFTA can mitigate risk and ensure their downstream suppliers are following all applicable safety and labor regulations by leveraging technology for traceability. Communicating CSR policies and expectations downstream is of utmost importance, and one of the best ways to accomplish this is by conducting frequent and thorough supplier social responsibility audits. Audits help paint a complete picture of what is happening at certain points in your supply chain. Equally important are the follow-up activities to ensure corrective action plans (CAPS) are completed. Supplier inspections are a vital component to any global operation. Environmental, safety, and social responsibility standards, and regulatory practices must be enforced to protect brand integrity and reduce the risk of costly product recalls. CSR should become part of a company’s DNA, not a requirement to qualify for free trade. Proactive companies will approach their auditing practices with a goal of increased transparency. Auditing has also come a long way in the past few years. In the past, duplicative audits with multiple companies conducting the same audits on overlapping factories were a serious issue. It led to audit fatigue at the factory level, with often contradictory requirements leading to confusion during the audit. The advent of third-party and shared auditing has resolved many of these issues, with companies working together to resolve issues and mitigate risk without stepping on each other’s toes or exposing sensitive information. Digital, collaborative technology solutions are the key to preserving the trust of valued consumers and alleviate risk from litigation. Technology-based solutions help companies increase supplier collaboration and visibility, support greater supplier accountability, and provide a conduit for broader, proactive supplier management activities. The best technology solutions offer the functionality to fulfill the end-to-end, develop-to-shelf needs of both retailers and suppliers. Integration to external and third-party systems can push and pull information into a central repository to increase its value and preserve existing investments. To ensure complete visibility and collaboration, technology should facilitate internal sourcing and compliance teams to work with factories, vendors, and outside inspection teams to maintain strict adherence to the numerous performance standards, and subsequently build stronger relationships with each link in the supply chain through the collaboration tools on the platform. Armed with solid information about human trafficking and labor conditions in their supplier network, companies will find themselves better positioned to mitigate risk and avoid the negative press that accompanies breakdowns in social compliance. [i] “Guide to the EU-Vietnam Free Trade Agreement”, Delegation of the European Union to Vietnam, June 2017.